Due to its large size and ferocious appearance, Kronosaurus is one of the most famous plesiosaurs. 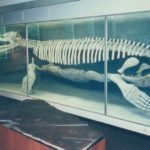 The iconic skeleton referred to Kronosaurus on display in the Museum of Comparative Zoology in Harvard is nicknamed ‘plasterosaurus’ because so much of it is reconstructed in plaster. 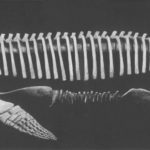 About a third of the skeleton is plaster and there are at least seven vertebrae too many in the dorsal region of the vertebral column. 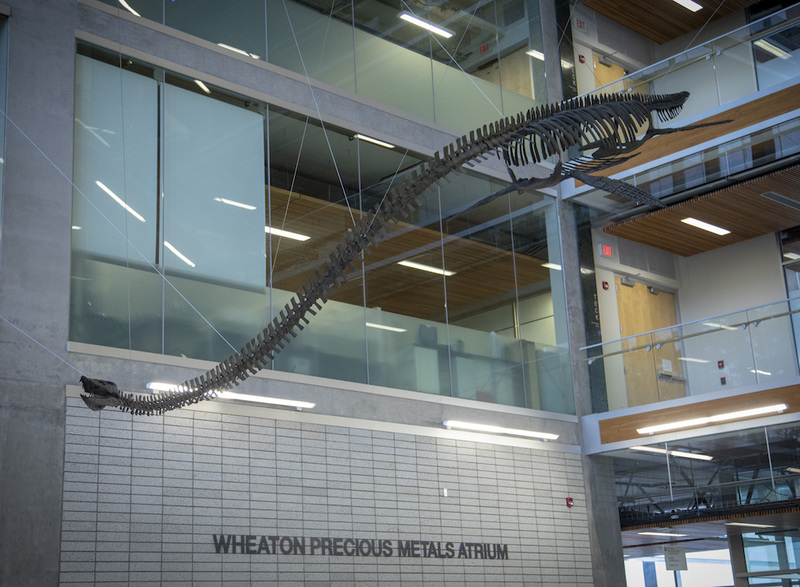 As mounted, the specimen measures 42 feet (12.8m), but the actual length would be considerably less in reality. 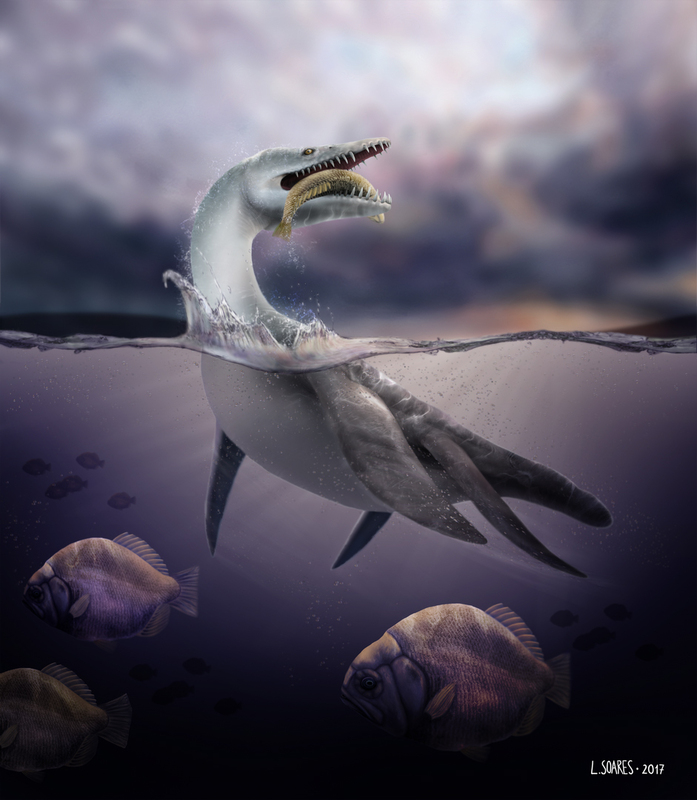 Kronosaurus was named after the mythical Kronos who, according to Greek mythology, swallowed his five children as they were born. 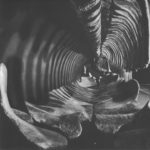 There are presently two known species of Kronosaurus. 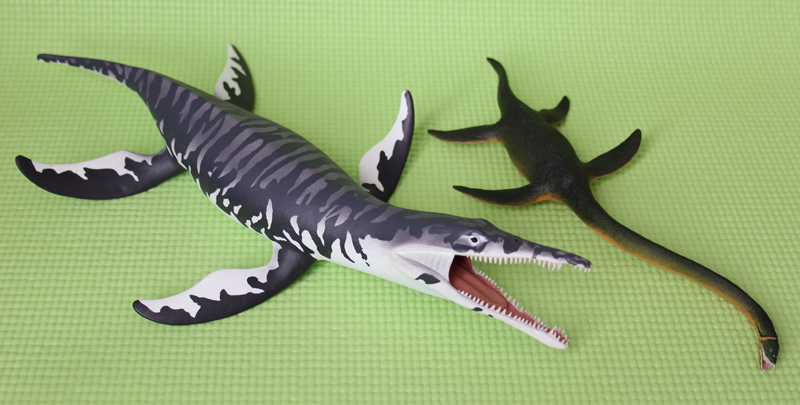 Kronosaurus queenslandicus Longman, 1924 (the type species), and Kronosaurus boyacensis Hampe, 1992. 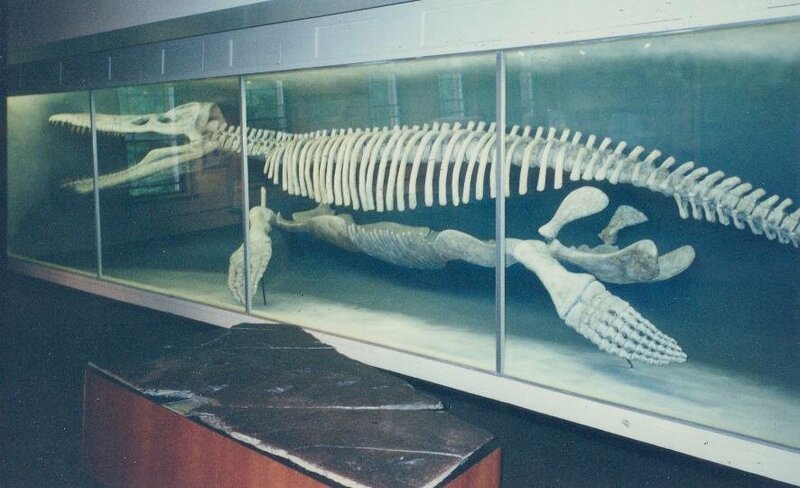 The Harvard Kronosaurus queenslandicus skeleton on display in the Museum of Comparitive Zoology (MCZ 1285). Photo by Hector. E. Rivera. Kronosaurus queenslandicus skeleton in lateral view. 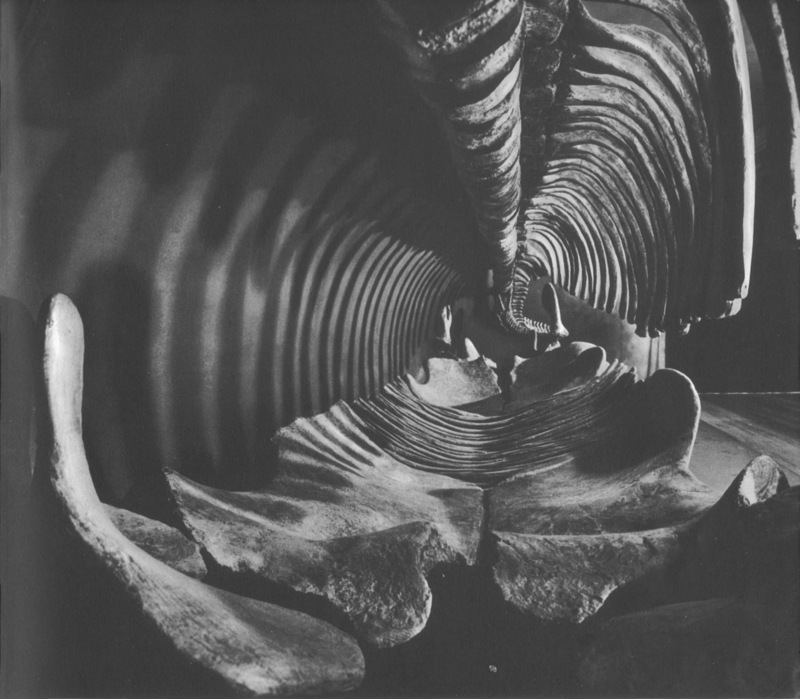 Internal view of the ribcage of the Harvard Kronosaurus queenslandicus skeleton on display in the Museum of Comparitive Zoology (MCZ 1285).